This new field guide in the Helm Field Guides series covers the whole of the Malagasy region, which comprises the unique island of Madagascar and the various islands and archipelagos of the Indian Ocean including the Seychelles, Comoros and Mascarenes (Mauritius, Réunion and Rodrigues). Every resident and migrant species is covered in full detail with a colour distibution map for each species. Vagrants are also treated in detail, but without maps. 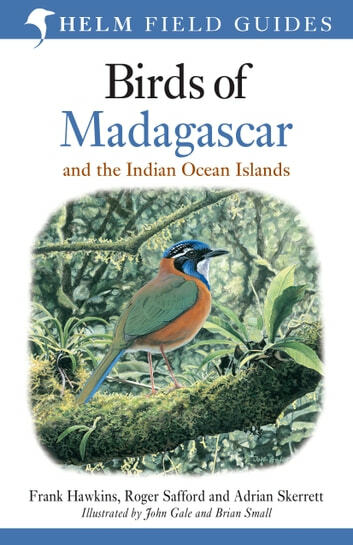 All species are illustrated on a beautiful series of 124 colour plates, with artwork from John Gale and Brian Small. Conveniently, the plates have been arranged so that all the key species of the various archipelagos are placed together in sections.